Only two more days until Halloween! 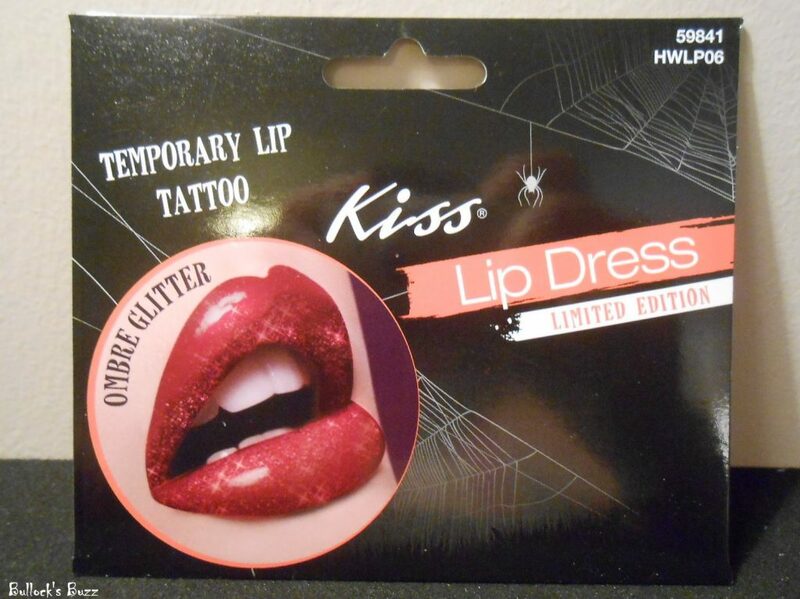 And if you are still looking for the perfect finishing touches to your costume, check out these spooktacular products Kiss sent for me to share with you! Kiss Products is the world’s largest manufacturer and distributor of professional nail products that are easy enough to use in the comfort of your own home. Their products include everything from nail care items such as manicure and pedicure tools, to nail jewelry and nail art. Kiss also created the first brand that allows women to achieve salon-like manicure results at home called Broadway Nails. They make quick and easy-to-use kits that contain full cover nails you simply glue on giving you a manicure that looks as though you spent hours at the salon. 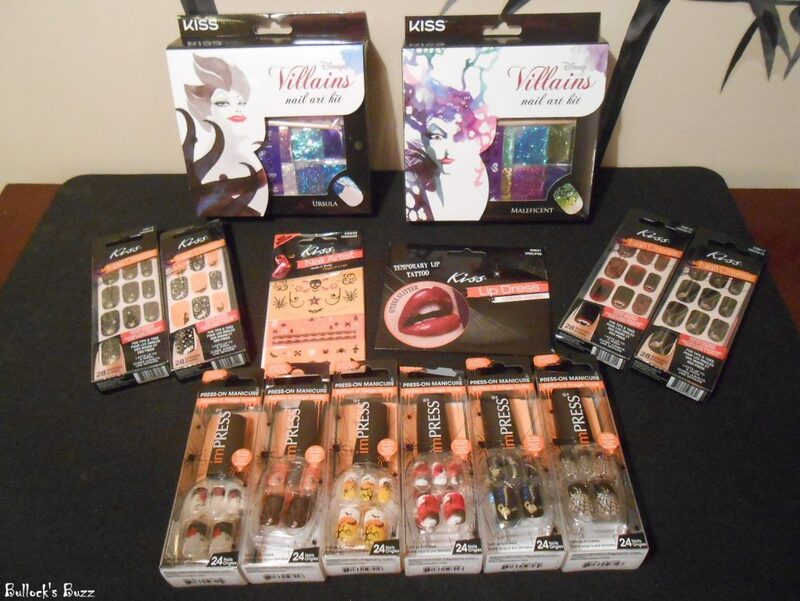 Together, Kiss and Broadway Nails have everything you need for hauntingly beautiful nails this Halloween. Whether you are looking to quickly apply nail art stickers or want to create miniature works of art, you are sure to find the perfect kit for you and your children! Don’t want to take the time to paint your nails? 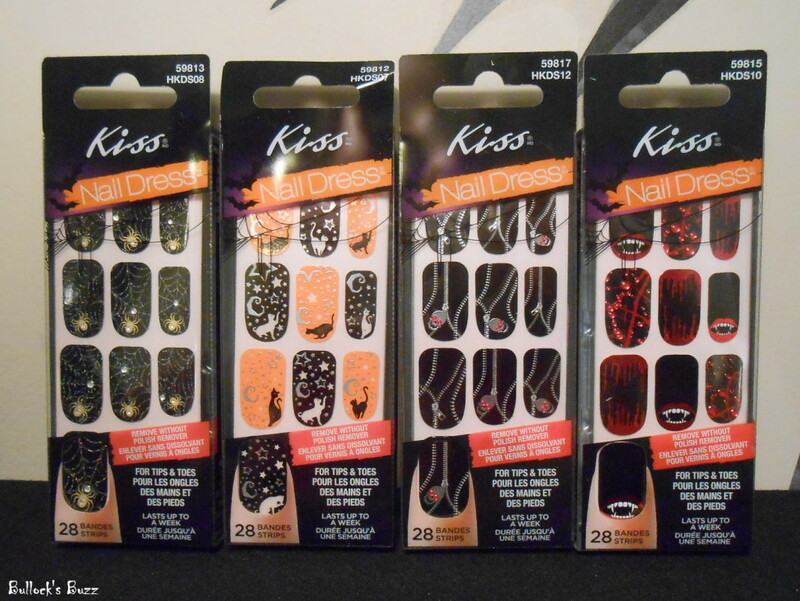 Kiss Nail Dress kits are the perfect solution, and are ideal for natural nails. Each pack contains 28 nail strips that give an instant WOW to any manicure or pedicure. Application is a cinch: just apply each sticker to your natural nail, fold down the excess and then use the included nail file to remove the extra sticker and shape it to your nail. Complete instructions are included in each kit. The strips will stay on for up to a week, and can be easily removed without having to use nail polish remover. Use them on your fingertips and your toes for a fun and stylish look. Choose from several eerie designs including black cats and moons, vampire teeth, spider webs and skulls. Check out these awesome nail art kits that allow you to custom design your own nail art manicure! 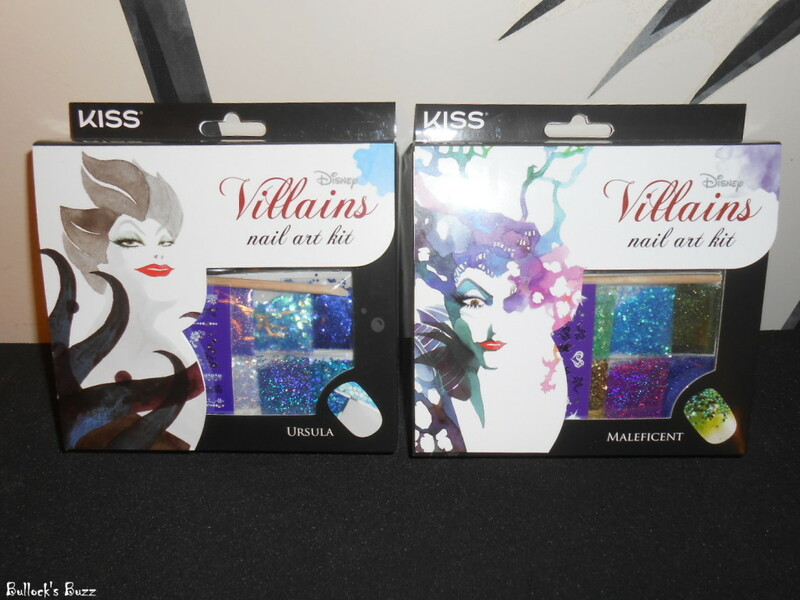 Four new, limited edition kits were released for Halloween, each one of which is based on a Disney Villain including Maleficent, Ursula, Cruella De Vil and the Evil Queen. 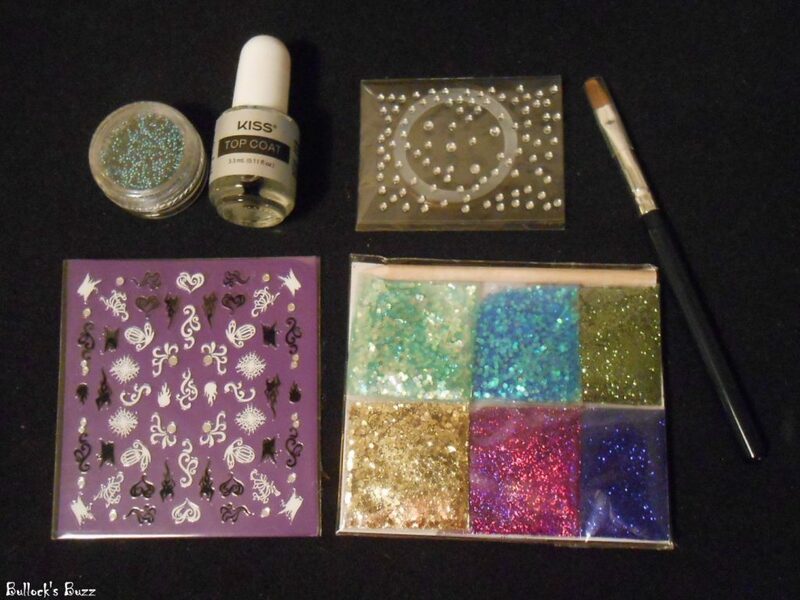 The kits come with everything you need including a flat brush, foil tape, nail art sheet, HD glitter, Cavier beads, a faux rhinestone sticker sheet and a bottle of top coat. Detailed instructions are also included. It is recommended (and easier!) that you get a set of imPress Press-On nails to do use, but I guess you could use your own nails. I cannot wait until Halloween day to do mine, so be sure to check back later for pictures! 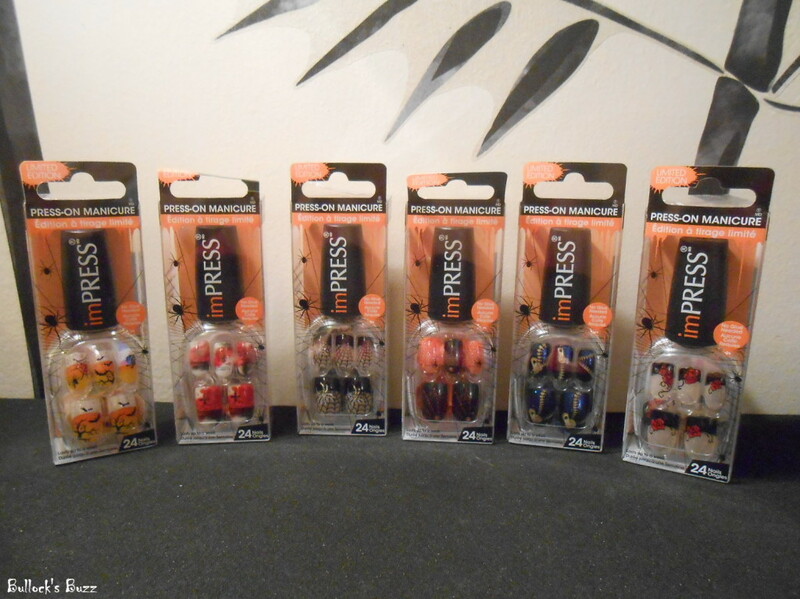 This Halloween, choose one of these limited edition, spooky imPress Press-On Manicure kits. 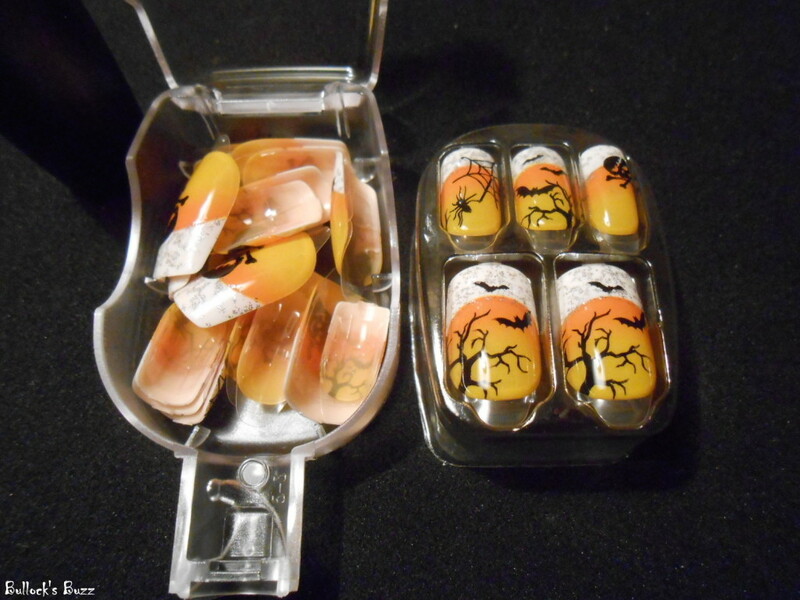 Pick from several designs including Spooked Out, Witchy Woman, Broomstick, Monster Mash, Elm Street and Friday the 13th. Each kit comes with 24 nails and is completely glue free. Simply remove the sticker from the back of the nail, press it on top of your natural nail and you are good to go. These nails have a nice shine, are easy to remove and will stay on for up to one week. Perfect for your nails or your body, Kiss Nail Artist stickers give you the freedom to create your own designs. Each pack comes with three sheets full of nail art stickers you can apply on top of your polish or on bare nails. Once applied, cover with a clear coat of polish, and you have a long-lasting look. 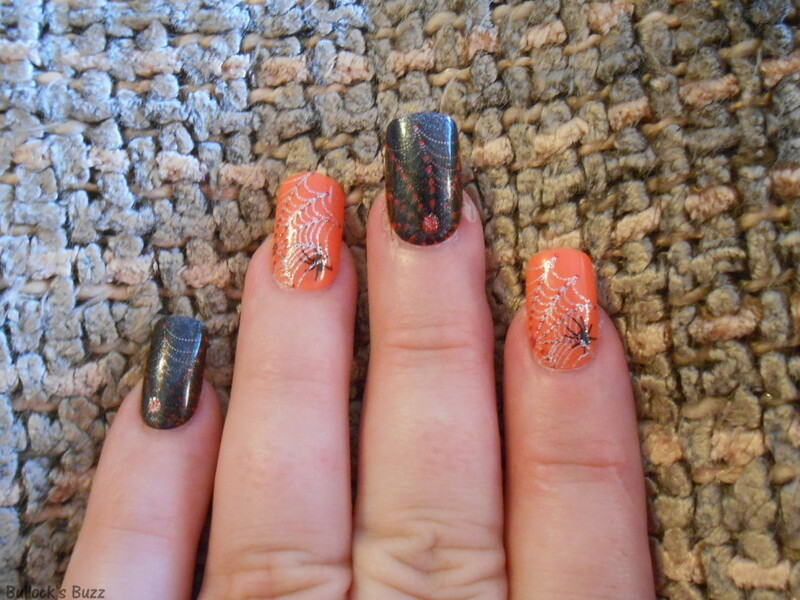 It only takes a few seconds to give you amazing looking nails that would take hours to do with polish. 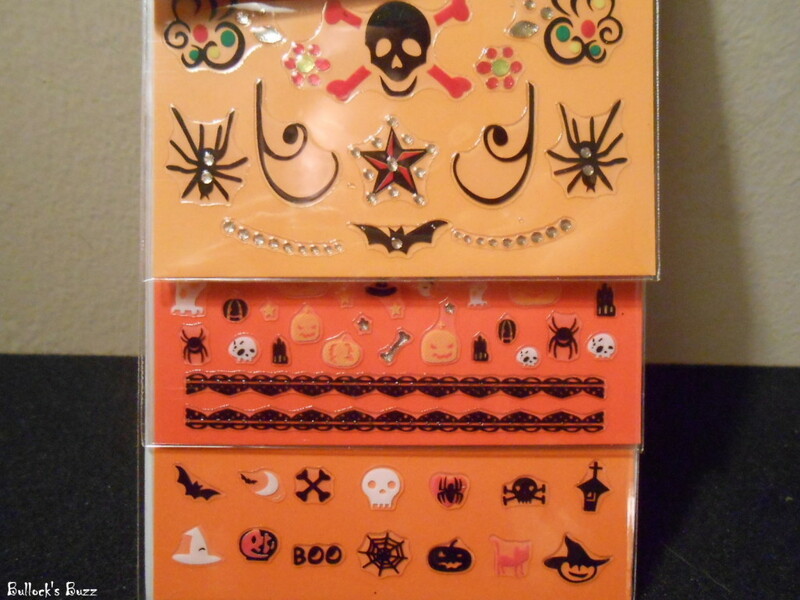 The stickers I received for Halloween include pumpkins, skulls, spider webs, ghosts, witches hats and more. Some are colorful stickers, others are jewels, and all are fun and the perfect addition to any costume! Why just dress up your nails? 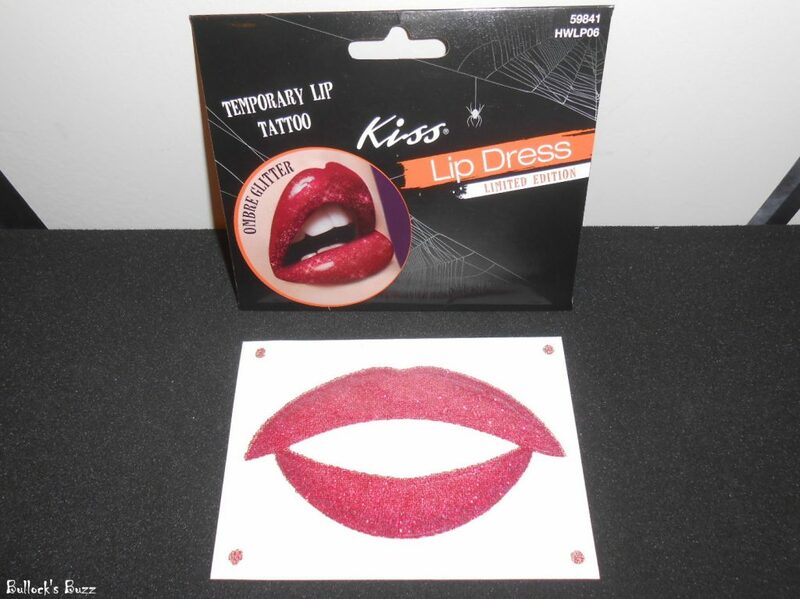 Try a Kiss Lip Dress temporary lip tattoo this Halloween! Each kit comes with one temporary tattoo that you can quickly and easily apply. Detailed directions are included in each package, but they are really quite easy to use. Choose from a huge selection of colors, patterns, designs and finishes. These tattoos generally last between four and eight hours, and do pretty well with drinking and eating. All of these items can be found at your local Walgreens, Rite Aid, Kmart and Wal-Mart, as well a through many online sites. 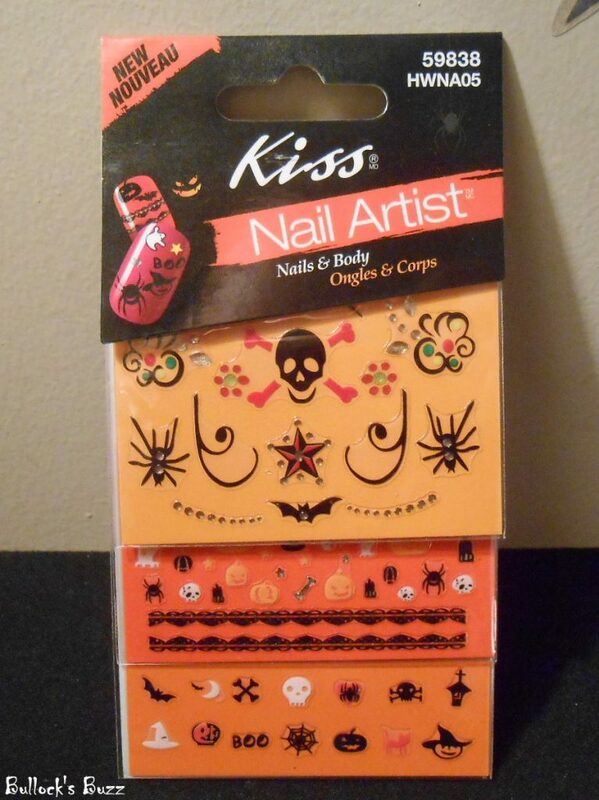 Kiss and Broadway Nails also offers many other products including Eye Lashes, Eye Tattoos and other nail care items, many of which also have special limited edition kits for Halloween and Fall. All of their products are incredibly affordable, ranging from as little as $2.99 up to $9.99, and you can get an even better deal by going to http://www.kissusa.com/ and checking under Deals and Promotions for money-saving coupons!  Be sure to connect with Kiss on both Facebook, Twitter and Pinterest for the latest products, tips, ideas, promotions, deals and more! I would love to use these products on Halloween.